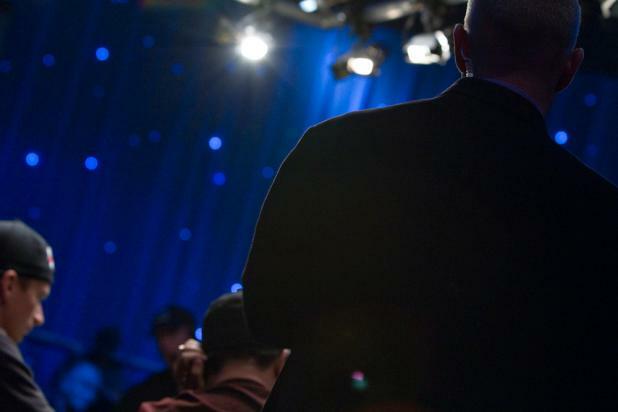 Tournament Director Robbie Thompson handles the bulk of the live announcing duties at ESPN's featured table on Day 5 of the WSOP Main Event. 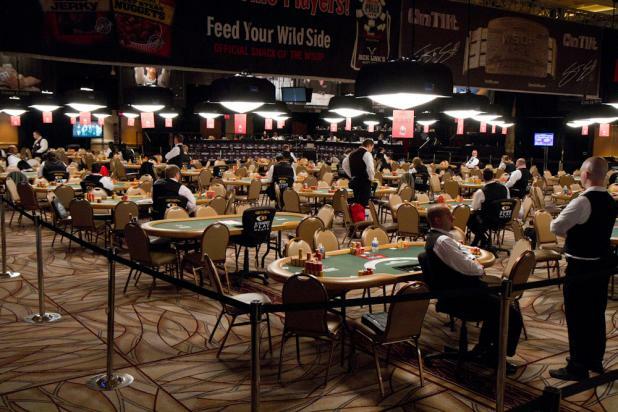 With 219 million in chips in play, the stacks are growing large on Day 5 of the WSOP Main Event. 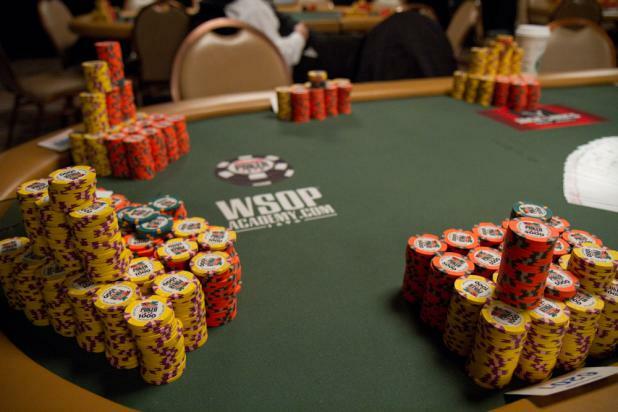 While the chips could be colored up to lessen their size, the large stacks look much better for ESPN's TV cameras.